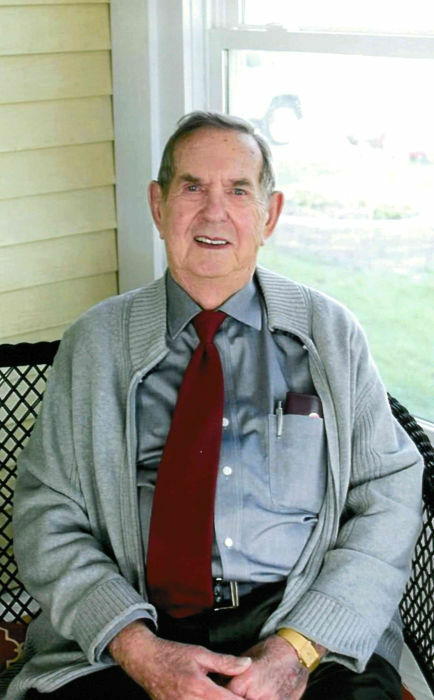 Bernard J. Maliszewski, age 91, of Fairmont City, IL, born on March 29, 1927 in Fairmont City, IL died on Monday, August 20, 2018 at his residence. Bernard was a member of Holy Rosary Catholic Church, Holy Name Society, and Knights of Columbus, American Legion Post 961. He was a past Fairmont City Park Board Trustee, a past Village of Fairmont City Trustee and a member of various other volunteer organizations. He was preceded in death by his wife, Frances Maliszewski, nee Pusateri; his parents, Bernard and Mary Ann, nee Marks, Maliszewski; 2 brothers; and 1 sister. Bernard is survived by his children, Bernard “Ben” (Denise) Maliszewski, Jr., of Glen Carbon, IL, Steven (Sue) Maliszewski of Fairmont City, IL and Sue (Keith) Scobbie of Glen Carbon, IL; his grandchildren, Elizabeth (Ryan) Matthews, Megan (Kevin) Vosburgh, Joe (Lexi) Maliszewski, Kevin (Alaina) Maliszewski, Martha (Matthew) Peck, Matthew (Caryl) Scobbie, Kylie (Corey) Suter, David Scobbie (fiancée, Samantha Voorhees), and Allison Scobbie (fiancé, Kyle Leitner; and his great-grandchildren, Vivian, Samuel, Claire, Quinn, Ella, Joseph, Cecilia, Gianna, Camille, Lane, Dylan and Cole. Bernard is also preceded by many nieces, nephews, and friends. In lieu of flowers, memorials may be made to the Fairmont City Library or to Holy Rosary Catholic Church, Fairmont City, IL. Visitation will be held from 9:00 a.m. to 11:00 a.m. on Saturday, August 25, 2018 Holy Rosary Catholic Church, Fairmont City, IL. A Mass of Christian Burial will be held at 11:00 a.m. on Saturday, August 25, 2018 at Holy Rosary Catholic Church, Fairmont City, IL. Interment will be in Mt. Carmel Cemetery, Belleville, IL.